One thing we know for sure is that executives of big corporations hate government taxes. They will do just about anything to avoid paying any kind of business tax to any government entity, and they will spend very large sums of money to reduce their tax burden. Corporations spend money on internal tax departments staffed with expensive professionals and even more expensive external tax accountants and tax attorneys. They will reincorporate offshore, shift money from one country to another, lay off workers, shift inventories to suppliers, demand tax credits from states and cities in exchange for hiring people or remaining in place… the list goes on and on. And they will spend a lot of money on the inevitable legal defenses, back taxes, and fines when complex tax abatement strategies do not go according to plan. But there is one thing that most executives will never do to help them avoid paying taxes. They will not eliminate the taxes that plague their own internal, company-made processes: Waste, unevenness, and unreasonableness. The combined rate of these three taxes is at least 30 percent. The way to reduce and eliminate these internal taxes is kaizen. Were leaders to eliminate taxes in this way, it would be mostly free and involve only some changes in knowledge and perspective; quite easy to do if one has an open mind and is willing to challenge one’s preconceptions. To eliminate waste, unevenness, and unreasonableness more quickly, they could learn from a consultant such as Shingijutsu USA. Their cost would be modest compared to what a large corporation spends to avoid government taxes. 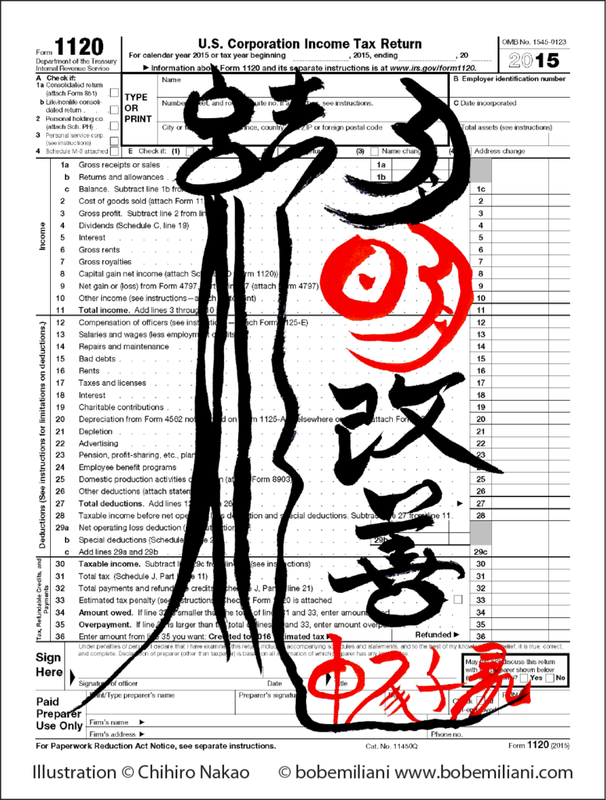 If executives were to participate in kaizen, they would also learn many wonderful honest little secrets from Shingijutsu USA that would greatly reduce taxes owed to governments, and never even come close to any moral or ethical boundaries. Along the way, sales and market share would grow, and fair taxes would be paid to governments without the added expense and risk of complex tax abatement strategies. Rather than spending money to reduce their tax burden, leaders would learn the importance of spending ideas and developing employees’ capabilities. There is more to be had in these than can be found by expensive experts pouring over complex corporate tax codes. Eliminating waste, unevenness, and unreasonableness is the same as cutting taxes – cutting a company’s self-imposed internal taxes. Yet nearly all executives prefer to go at it another way, in addition to the government tax abatement strategies mentioned above. They generate their own tax cut (i.e. lower overhead) by overproducing. “Economies of scale” delivers apparent reductions in unit cost, enabling the lowering prices, which should, in turn, increase revenues. But this usually is accompanied by higher total cost due to sales incentives, lower inventory turns, rebates, higher debt, capital expense, etc., thereby undercutting revenues. It is the classic microeconomic supply-side argument for cutting internal taxes (overheads) through increased production – but while ignoring all diseconomies of scale. Needless to say, the standard cost absorption accounting system, upon which economies of scale depends, is itself an incentive to overproduce even when demand is slack. The higher total costs incurred by economies of scale and standard cost absorption accounting soon require management to mercilessly cut budgets in response to high total costs that then do harm all stakeholders – employees, suppliers, communities, and, eventually, shareholders. So, think of kaizen – kaizen forever – as a simple and low-cost tax abatement strategy to reduce both self-imposed internal taxes as well as government taxes that result from batch-and-queue material and information processing. Kaizen has so many positive knock-on effects that you will soon view the common methods once used to improve business results as both ill-informed and destructive.